1. Know your theology. One of the first questions two of the churches asked me was where I stood on certain theological issues. Good churches will want to know where you stand with your theology. They are looking to hire someone who lines up with their theology so it is vitally important you know where you stand. If your theology doesn’t match theirs, don’t waste your time or their time. Hopefully, you have studied theology in college and have a good understanding of where your stand, but make sure your ready to answer questions that are theological in nature. If the church is not concerned about your theology than it’s probably not a church worth talking to. Your theology will direct your ministry, so it is important that a church knows your theology. Before I go on let me explain something. Their are “closed handed” and “open-handed” issues. Usually, “open-handed” issues are things we can agree to disagree on and fellowship and worship together in humility. But when it comes to working on staff at a church, most churches will ask you to be on the same page with even the “open-handed” issuess. So when you step into an interview, make sure you know where you stand on the “closed-handed” issues as well as the “open-handed” issues. 2. Know the role your wife will play in the ministry. Every church I interviewed with asked me how my fiancee, soon to be wife, will fit into the ministry. They want to know how your wife will serve in the ministry. Some churches will expect your wife to play a vital role while other will not expect her to do too much. 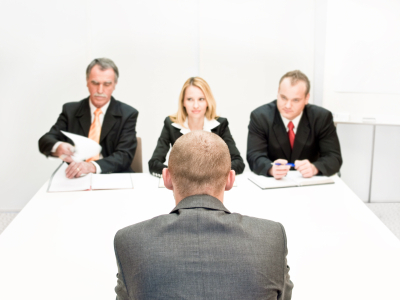 Determine before an interview that you are being hired for the position, not your wife. If she wants to play a big role in the ministry, great, but if she doesn’t, that is perfectly ok. In order to answer this question, spend some time talking to your wife about how she sees herself fitting in to your ministry. Allow her to serve where her strengths and passions lie. Then explain to the church how she will serve with you and what particular roles she will play. If your not married, realize most church will look to at candidates that are married first. Don’t get married just for ministry, but realize it’s an important asset to churches. One quick tip. Allow your wife to speak in the interview if she is present. Let her share her heart and passions for ministry. Churches not only want to hear you, but want to hear your other half. 3. Make sure your like the overall ministry of the church, not just the particular area your looking to serve in. I am looking for a student pastor position so I looked very closely at their students and how the church views student ministry. It is important to make sure you like where the church is going with the ministry area or applying for, but make sure you like the church overall. Don’t take the job if you are falling asleep during the Sunday morning worship servive. Don’t take the job if you don’t feel like you will get spiritually feed by the preaching. Don’t take the job if you feel like your wife and children don’t like the the ministries that are geared towards them. I look at it this way, find a job at a church you would attend if you didn’t get a job there. Would you enjoy the Sunday services if you wasn’t the student pastor? Would you send your children to the children’s ministry if you didn’t work for the church? Find a church that ministers to your personally. These are just a few of the things I learned this past week. I hope they help you as you are looking for that position or will help you encourage someone who is currently looking. At the end of the day, God is sovereign and will lead you to the right place and position. Pray and ask God for guidance and discernment as you look for that perfect position. Hey Austin, this is a good post. I would definitely add a lot more to the section about the wife. Don’t let the church dictate her role, if they have expectations on her beyond “we expect nothing of you” get out, not worth it. I’d say especially when you do accept a position, you and your fiancee should have a talk about the time commitment, understand that the first few months and even years are going to be a whirlwind and crazy, but it is just a season. Make sure your on the same page with everything. Praying for you to hear back good news, let us know. On the wife point, I’d be clear that your wife will serve in the Church where she feels called to and where/when needed. Also, not necessarily in Student Ministry with you. Many churches try to get a “twofer” out of a couple and expect the wife to help. Make sure you protect her and allow her to find the place she wants to be without pressure from leadership. My guess is that many wives would love to serve along side their husband. But sometimes it is better to serve in different places. We must protect our wives from being pressured into something they are not gifted, called or needed to do. Also, many times it saves marital strife if two spouses would do one thing in completely different ways. My wife and I have served together in ministry, and we have served separately. We have found the most harmony serving separately. As the leaders in our home, sometimes the best thing we can do is protect our wives from expectations that God has placed on us as pastors, and not her as the wife of a pastor. comfortable. Thanks for the comments guys! No doubt to Eric and your additional comments. The biggest thing is for your wife to be supportive. My wife and I have just had to have many conversations since moving to our new position about the fact that were extremely busy right now, but it is just for a season. If she wasn’t on board for me working as hard as I am, I wouldn’t be able to do it. Im especially concerned with telling others about this because a local youth pastor younger than me and more newly married just resigned as a last ditch effort to save his marriage, she wasn’t supportive of his hours. Its crucial. Great thoughts again. Discussing hours and such with my wife will be huge. I need her support and we need to be on the same page with how many hours I put in a week. Question for you if you don’t mind answering. How is your wife involved in your ministry? Does she serve in the youth ministry? Hey Man, my wife is heavily involved with our Ministry. I’ll state right off the bat, though, that growing up as the Son of a Pastor, I know there was one Youth Pastor who he had many discussions with and eventually let go because his wife was never at church. I think the wife of a staff person, and Especially a Pastor of the Church should be at Church and involved. But that being said, our last church she was my super volunteer, the rest of the volunteers I had were completely unreliable and she stepped up to the plate. When we moved to Boston, she still wants to be super volunteer, but she also isn’t as involved as she was in our last ministry, mainly because she has a much different Job out here, and she doesn’t need to be as involved. But what I was saying with the seasons, we know right now we both are working a ton, investing a lot of hours into building relationships with our students and our volunteers because there are some things that need major repair in our ministry that we inherited. But we also know this is just a season. Were trying to start a Family, and we know that when that happens, this season will be done, and we will miss being this busy, so were just learning to enjoy the chaos haha. I agree with you Ben. Crystal will need to be supportive. But it’s not just about being supportive of schedule. My guess is that the younger youth pastor you mentioned didn’t just miss manage his schedule, the problems that lead to a marriage failing go further than working too much. Husbands are called to “love our wives as Christ loved the church.” That means that we must work hard, but we must also give them our time and devotion at home when we are there. I work about 55 hours a week when I am not doing a lot extra. But on my days off, I am O F F. I don’t return emails, or even touch my computer. I don’t even talk to or try to hang out with students. That time is for my wife and kids. When I was at Weymouth, Pastor Bob wanted me to start a college service. I wanted to kick it off in the fall. He wanted me to start it in the spring. I obeyed and began putting the service together. I was young and the “youth pastor” so it wasn’t long before I was doing everything but leading worship. I printed the bulletins, designed them, set up, tore down, brought in and organized the band, put together the power point, tried meeting with people from the service, preached 3 of the four weeks (the other week was pastor Bob, but I still did all of the above, including his power point). I was exhausted by august. Our service was sparsely populated since, at the time there were NO young people at Weymouth to help draw from, and I was working 85 hours a week doing youth and college. My wife needed my attention. I told the elders I was going to cancel the service, that I was over worked. They said they voted to start the service, they should vote to cancel it. I told them to vote all they wanted to but I couldn’t do it anymore. They relented. It was that kind of thing that made my stay short. My wife is the most important thing to me, and my highest call. We must honor them. Thanks for sharing more great thoughts. As a young and passionate youth guy, I need to be careful not to go over board when I get my first full-time position. I need to be a leader to Crystal first then be a leader at the church second. Crystal’s support is vitally important and I want her on board 100% with whatever church/position I take. By the way, I’m going to try and give you a call this week. Would love to get your feedback and advice about some current interviews I am in. Its really weird to see you as Eric and not Joppa… I guess I’m growing up! Thank you for taking time to support my future marriage. I appreciate that you’ve been supporting me since you poured into my life as a teen, even though we’re on opposite sides of the country. You were awesome then, but even greater now! I am excited to work with Austin with the youth. Austin also is very supportive of my love for children and desire to work with the children at whichever church we end up at. I agree with all of these comments, it is very important for the wife of the youth pastor to find where she wants and feels called to serve in the church and not be thrown into a ministry she is not called to be so highly involved with. We are a team for life, not necessarily youth ministry (I am excited that right now I feel that is where I will serve as well) and I will be supportive of my fiancé’s job/ministry even if someday I choose not to be involved in it personally. Well, I guess I better jump in here too… why not? First off, congrats to the two of you and I am so thrilled that Crystal found such a great man to call hers. Austin and Crystal… point #3 is HUGE and I am so glad you are keeping this at the front of your decision. You need to fit where you are planted. Especially if you are moving away from friends and family you will want to be sure that you are at a place that you can get involved immediately and like it. Ministry can be very lonely and it takes a lot of effort to get involved and meet people. Sadly, you will find that some people will have manipulative motives in getting to know you and then there are others that are open and ready to love and support you. You need to like where you are going to church and getting fed – super important. I hope that you do not have to taste what it is like to be in a church that you don’t enjoy… but when you are in a place that you don’t feel like you are just an employee, but that you feel like you are a part of the family, it is so sweet. As far as being a wife… I agree with all of the above. It took Eric several years to learn to turn off his computer at home. Sure he checks emails now and then, and if there is a student needing him he is available… but he respects our family time more now than before…. and our kids and I appreciate it. I loved doing youth ministry for years, but when we had kids I had to step away to be with them. At our last church I got involved in the prayer ministry, creative prayer services and assisting with the silent auction mission trip fundraiser. I loved being able to do something different, meet more people outside of youth ministry and use my administrative skills for God. Know that every season of life allows you to be used or not in different ways. Follow your gifting and Gods guidance for how you should serve. I agree with Ben, do not go anywhere that has ANY kind of expectation for you in relation to Austin’s job. I have like a million things to share… but the journey you are on is yours to learn from. Being in ministry is very rewarding and really does make for an incredible life. If you ever have any questions we are here for you guys. I would like to add that the most important thing is being lead by the Holy Spirit and asking God where HE wants you. If you just go where it “seems like a good fit” you may end up disapointed. But when you go where God leads you, you will be satisfied no matter what comes your way while you are there. God does not Hirelings in the ministry. Just a thought.